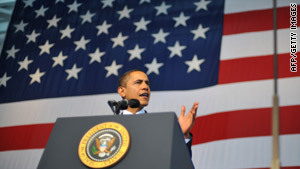 President Obama addressed troops at the Naval Air Station in Jacksonville, Florida on Monday. Kabul, Afghanistan (CNN) -- Fourteen Americans died in two helicopter crashes in Afghanistan on Monday, NATO's International Security Assistance Force said: 10 in one incident and four in the other. Three Drug Enforcement Administration special agents were among the dead, according to the DEA, which did not identify them. The agents were first DEA agents to be killed in Afghanistan. "Like all those who give their lives in service to America, they were doing their duty, and they were doing this nation proud," President Obama said at the Naval Air Station in Jacksonville, Florida. It was the largest number of Americans killed in Afghanistan in a single day in more than four years, according to CNN records. The NATO force ruled out enemy fire in the crash that killed four Americans and said enemy action was not thought to be the cause of the other. A helicopter went down in the west of the country after a raid on suspected drug traffickers. Seven U.S. service members and three U.S. civilians were killed, according to an ISAF statement. Fourteen Afghan service members, 11 U.S. service members and one U.S. civilian were injured in the crash. Monday's crash marked the second-deadliest incident in the agency's 36-year history, according to entries on the DEA's Web site. The deadliest incident for the DEA occurred August 27, 1994, when a plane carrying five special agents crashed in the Peruvian Andes during a reconnaissance mission, according to the DEA's Web site. One of Monday's helicopter crashes occurred after the helicopter was returning from a raid on a compound, ISAF said. The joint international security force killed more than a dozen enemy fighters while searching the compound, ISAF said. The site was thought to harbor insurgents tied to narcotics trafficking in western Afghanistan. The militants were killed in a firefight when insurgents confronted the joint force. As the force was leaving, a helicopter "went down due to unconfirmed reasons," ISAF said. A recovery operation was launched. DEA Acting Administrator Michele Leonhart said the crash occurred as the agents and seven U.S. service members were returning "from a completed, joint counternarcotics mission." "DEA is an extremely tight family, and the death of these three brave agents is a devastating loss for us," she said in a written statement. Attorney General Eric Holder said the circumstances of the crash were under investigation. "I want to express my deepest condolences to the families of these heroic agents," Holder said in a written statement. "During this difficult time, the families of these agents are foremost in our thoughts and prayers." In Monday's other deadly crash, four U.S. service members were killed when two helicopters apparently collided in the air in southern Afghanistan. Two other NATO service members were injured. "The incident is currently being investigated, but it is confirmed that hostile fire was not involved," ISAF said. "Each and every death is a tremendous loss for the family and friends of each service member and civilian. Our grief is compounded when we have such a significant loss on one day," Col. Wayne Shanks, an ISAF spokesman, said in a written statement. ISAF is not announcing the names of the dead or which branch of the service they were in, pending the notification of their relatives. CNN's Carol Cratty and Brooke Baldwin in Washington contributed to this report.